I’d be honored to publish your piece on the blog. Fill out the form below to inquire. I started Tigerlilith as a Tarot blog and moon phase journal to chronicle my studies in Tarot, witchcraft, and magic. 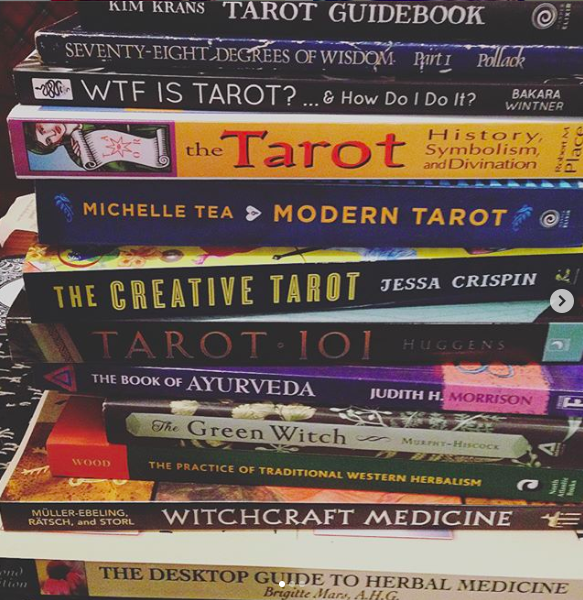 What began as a Tarot blog now encompasses magical culture and practice, my studies (both academic and personal) in witchcraft, and the mind-body-spirit connection, which encompasses my other loves, herbalism and yoga. My aim for the blog is to supply honest, vulnerable, enriching, informative, quality writing on these subjects. This is a supportive space that celebrates our unique pathways and our common humanity. This space celebrates art, magic, the Divine Feminine, consciousness exploration, personal evolution, spiritual growth, and rock n’ roll. I hope you find something that feeds you.